Lightroom Classic Tutorials > Catalogs > Moving Lightroom > How do I move Lightroom to a new computer? Moving Lightroom to a new computer can appear daunting at first, especially if you’re moving cross-platform, but rest assured, it’s straightforward as long as you follow these simple steps. Note: FREE eBook that gives more extensive step-by-step guide now available!!! 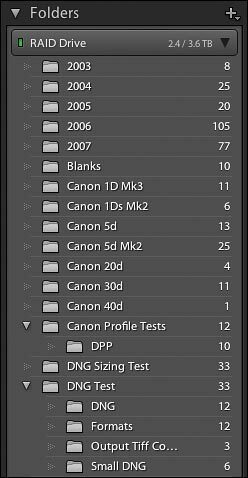 It’s a good idea to make sure that Lightroom’s Folders panel shows a tidy hierarchy before you back up the catalog. You may need relink the files if the relative folder location, or the drive letter for an external drive, changes as a result of the move. Doing so using a hierarchy (right screenshot) is much easier than a flat list of folders (left screenshot). There are instructions on setting up a folder hierarchy here. It’s especially important if you’re moving to a different operating system. Next, you need to make sure that all of the essentials are backed up—the catalogs, photos, preferences, presets, profiles, defaults, plug-ins and any other related files. Click here for a full list of all the Lightroom files you need to include in your backups. If you’re wiping the hard drive in the process, rather than running both machines at the same time, it’s even more important to make sure that you don’t miss anything. For extra security, you may choose to write most of your settings to the files, in addition to your catalog backups. To do so, select all of the photos in Grid view and press Ctrl-S (Windows) / Cmd-S (Mac). That stores your most crucial settings with the files themselves, which can be useful if you make a mistake, but the files won’t include flags, collections, virtual copy data, stacks and a variety of other information which is only stored in the catalog, so you’ll still need to follow the rest of the instructions to transfer your catalog. Once everything’s safely backed up, we’re ready to set Lightroom up on the new computer. If you still use Lightroom 6 or earlier, you can download the installer from Adobe’s website. For LR5 and earlier, you can just download the latest update for your Lightroom version (e.g. 5.7 if you own LR5), and then enter your serial number(s), whereas LR6 requires installing 6.0 and then the last update patch. If your license is an upgrade version, you may need the serial number from an earlier version as well as the current Lightroom serial number. Using Windows Explorer (Windows) / Finder (Mac), transfer the files—the catalog, the photos, preferences and so forth—and place them in the same locations as they were on the old computer. Most people use an external hard drive for the transfer, or a wired network connection. The process of moving your catalog cross-platform is exactly the same as moving to a new machine of the same platform. If you’re transferring between platforms, it’s even more important that you set Lightroom to show the folder hierarchy (step 1) to make it easy to relink missing files, as Windows works with drive letters and Mac OS X works with drive names. If you’re moving from Windows to Mac or vice versa, some of the file locations will be different, especially for preferences and presets. The locations of those files on both platforms are listed here (LR Classic / LR6 / LR5 / LR4). There’s just one other main thing to look out for if you’re moving cross-platform—the Mac OS can read natively Windows NTFS formatted drives, but can’t write to them, and Windows can’t read or write to Mac HFS formatted drives. If you’re going to use your external drives with a different operating system, you may need to reformat them at some stage, after having copied the data off safely to another drive, of course. If you’re constantly moving between Mac and Windows, consider formatting transfer drives as FAT32, or using additional software such as NTFS for Mac and HFS for Windows that will allow either operating system to have read/write access regardless of drive format, but be aware that it may be slower than using a native drive format. Then it’s time to open the catalog, which you’ve already transferred. Double-click on the *.lrcat catalog file to open it, or hold down Ctrl (Windows) / Opt (Mac) to show the Select Catalog dialog when launching Lightroom and navigate to the catalog. You might find that there are question marks all over the folders or there are icons in the corners of the thumbnails—question marks in LR4, or rectangles with or without exclamation marks in LR5 and later. Those warnings appear if the original photos can no longer be found at the previous known location. STOP! Don’t be tempted to remove the missing photos and re-import, or try to synchronize a folder, and don’t try to relocate individual files by clicking on a thumbnail icon, as you’ll create a bigger job. If the photos were stored on an external drive, but the Windows drive letter has changed, you can simply reset the drive letter. Otherwise, right-click on the parent folder that we created in step 1, and choose Find Missing Folder from the context-sensitive menu, and navigate to the new location of that folder. Relocate any other top level folders (you should have one for each drive), until all of the photos are online. There are more details on reconnecting missing files here. If you get stuck at this stage, please ask on the forum and we’ll help. Double check that all of your presets and templates appear correctly, for example, all of your Develop presets are available in the Develop module, to confirm that you copied all of the files correctly. Finally, you might find your plug-ins need reloading as the locations may have changed in the move. Go to File menu > Plug-in Manager and check whether all of the plug-ins have green circles. If any plug-ins are incorrectly loaded or missing, add them again at their new locations. It’s as simple as that. The main things to remember are to transfer all of the applicable files onto the new computer, don’t try importing anything, and don’t wipe the old machine until you’ve checked that everything’s up and running. When you’re finished with the other machine, go to Help menu > Sign Out or simply uninstall Lightroom, in case you need to activate Lightroom on another computer in future. Note that these instructions are for a one-way move, for example, moving from an old computer to a new one, or reinstalling your operating system. If you want to work on multiple computers, for example, transferring between a desktop and a laptop, check back for future blog posts. 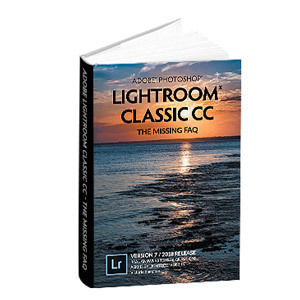 For many more questions and tips on Lightroom Classic, see my book Adobe Lightroom Classic – The Missing FAQ. Great, I’m really pleased to hear it Sandy! I bought a new windows computer and took my old hard drive and installed it into my new machine. Now, my LR6 opens and says my LR mobile trial has expired. In Library, every thing seems to work. My files are all there, but when I select an image and go to Develop all I have is a pink or melon colored window. I guess I should reinstall LR6. Should I remove the old LR6 first or will the new DL fix everything? Excellent, hope it helps Gianni! Interesting. I am about to go from Windows 7 to Windows 8. My new computer uses a solid state drive for the operating program. That’s the C Drive. Data goes on the D Drive, whereas I always had my data on C Drive before. I will see if there are any particular problems due to this change in letter of the drive. Just make sure you’ve followed the instructions to set up the folder hierarchy before you, and you’ll be fine. That’ll make it very easy to relink the folders on the D drive. You might want to keep the catalog itself on the SSD if you have space – it’ll feel quicker. You are quick to respond. Thanks! I had not thought of putting the catalog on the SSD. That sounds like an option I really need to consider. As far as the hierarchy goes, though, I kind of like my hierarchy as is, for a few reasons. I have only nine top level folders showing in my tree. I may choose to keep those as is, and not bring their parent folder into Lightroom catalog. If so, will I simply have to go through the relinking process nine times? That is doable for me, and I get to keep my hierarchy as is. Yes, you’ve got the idea. The hierarchy step is to avoid people having a flat list of 1000 dated folders and having to relink each in turn. Your 9 should be no problem. Or you could add the parent, and then hide it again after the move. Same difference. of flags I have a whit custom color classification for some of them. Hi Daniel. Is LR4 still on the old computer? Can you confirm the flags are still on there? There are a couple of things that could have lost them. Importing photos afresh, or using Synchronize Folder could do it. Or they could have been local flags in LR3 – but they should be missing on LR4 too. White color labels are a very simple fix. Color labels are recorded as words instead of a color, so if you look in the Metadata panel, you’ll see the Label field will specify the current name. If that current label name isn’t part of the current Metadata menu > Color Label Set then it’ll appear as white. You could check back on the old computer to see which you had selected. First of all about your quick response. Let me know how you get on Daniel, then we can figure out where we go from here. So the new photos that are in the LR5 catalog – do you know where they are? How long ago did you move computers? And have you edited the old photos in the LR5 catalog? 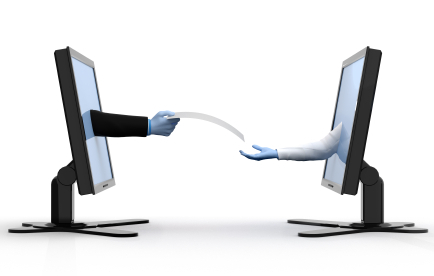 Final question for the minute – do you use Publish Services? 1. On a PC, I migrated from LR4 to LR5. Here I did not realize that I lost things. 3. No I am moving from the PC to a Mac. compare LR4 and LR5 libraries and try to determine. computer, I am doing now. the moment I am more than glad to have my library ok again. lot for your help and quick response. Ok, great. It’ll be possible to merge the LR4 and LR5 catalogs, but you’ll need to decide which lot of Publish Services you want to keep, as they don’t carry over in a standard import from catalog. So if you compare the catalogs, do you want to keep the Publish Services from the LR4 catalog or the LR5 one? That will determine which one we choose to be the source vs. the target catalog. I found the way to do it (File > Import from another catalog). And I was able to get most of them. Well done Daniel. It’s very rare that we hear of things going walkabout, but it’s such a long time ago, it’ll be difficult to remember what you did back then. There was one change between LR3 and LR4 that flags became global instead of local. Photos that were flagged in a collection are still accessible from the right-click menu for that collection. Hi Victoria. Thanks for the post – very helpful. I have one (potentially very daft) question. In accordance with the terms of the license, I understand you can use one copy of LR on up to two computers. So when you download LR from the Adobe site (for use on your second computer) does it simply allow you to do so without a prompt for payment? The reason I ask is I currently have LR5 on my laptop but am purchasing a mac very soon. When I do, I intend to install LR on the mac and I don’t want to end up in an online tangle and effectively pay for it twice. You can just download the update version Steve – it’s the full program each time. So you can download the 5.2 update – or 5.3 if that’s out by the time you get new machine – and install it on your Mac. Hi Victoria, I just did exactly what Steve was talking about. I know we are 5 years later but I’m having an issue and hoping you can help answer. I have gone to the adobe website to download LR5 onto my new Mac and it is prompting me that I need to buy or try there is no download or redownload button. Do you happen to know if we just can’t use our LR5 anymore do I have to upgrade to the new LR and pay a monthly fee for it? That said, “new Mac” rings a little alarm bell. There have been quite a lot of reports of incompatibilities/crashes of LR5 with High Sierra. It may work for you, but if not, the last update of LR6 (that’s 6.14) and the current Lightroom Classic are fully compatible with High Sierra. LR6 won’t get updated for any changes in Mojave, so no promises how long the LR6 compatibility will last. I asked the the forum but I will here as well. Seems simple except the “in the same location”. My username is different on the new computer therefore the absolute path to the photos is different but the relative path (username/Pictures) is the same. I fixed it myself. Seems I only had to do “find folder” and they are all there. I transferred from old mac to new mac with maverick. L4R looked fine and everything is there. However, I can’t rename, move or delete from LR4. now what? Hi Catherine. It sounds like you have a file permissions problem – that your user simply doesn’t have read/write access to the files. Can you rename/move/delete using Finder, without it asking for a password? If not, that would confirm a permissions issue, which is easily fixed. Just wanted to say a huge “thank you” for writing this article. After years of wanting to switch, I swapped my ancient steam-powered PC running Windows XP to a shiny new iMac running OSX Mavericks. I followed your instructions for transfer and everything went perfectly. This was despite having to move from LR v3.6 on the PC (wouldn’t run anything latter without 64-bit OS), to the latest Creative Cloud version on Mac. Moving LR was the really scary bit of the whole move, but actually went a lot easier than I could have imagined. The key is to have a logical hierarchy of pictures on your PC before moving. I used an old 1tB external USB2 drive for the transfer and moved 58,000 pictures without issue. I’m really grateful to you. Thank you. That’s brilliant news Sarah, well done! I’m really pleased the article helped. Excellent article. I currently have LR4 (old Imac) and will be upgrading to LR5 on a new IMac. Is it possible to install LR5 on the new computer and move the LR4 catalog to LR5 – or upgrade the old computer first and then move it? Thanks. Hi Joe. Yes, either will work. Personally I’d suggest upgrading the old computer first, make sure everything is set up, and then move. That way if something goes wrong, you only have to go back a step rather than starting over. Also, the LR5 catalog upgrade looks for the original files to grab some extra metadata, and if you do it at the same time as moving to the new computer, it might not be able to find them. I’m really pleased it helped Dan. Well done for fixing it! The upgrade should work correctly. You’re welcome to drop me an email with more info if you’re still having trouble. 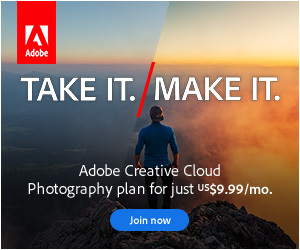 Just to emphasise the point that with a Creative Cloud monthly subscription , the cheap LR/PS deal, you can have LR on two computers. It took me a lot of ferreting around to find out that all I had to do to get LR onto the second computer was to log on to my Adobe account and download. Adobe support gave me completely erroneous information, and told me that I had to inactivate the subscription on the first machine. Sorry to hear you had so much hassle John. Adobe’s support are unfortunately well-known for misunderstanding questions! The only hassle was with Adobe. As always I took great comfort from having your clear instructions by my side. You may not fully appreciate how much we depend on you. I just bought a new computer and am having issues with transferring my Lightroom Catalog over. My Old Catalog was on C:…MyPictures/Lightroom and Images were on D:Working Files. Now in my new computer I want catalog on D:…MyPictures/Lightroom and images on E:Working Files. When cutting and pasting old catalog into new Lightroom folder it won’t show the photos in my new E Drive, and I cannot find a way to point it there. When I start from scratch on new computer and re-import images from E drive, thereby building a new catalog, I can no longer see any of my soft proofs. I must be doing something wrong that is quite simple to change? Or, I could just ignore the Softproofs, being that I have written down what I have changed on them. Maybe I am missing other things also, but never checked to see if flags. etc. were still there. Hi Scott. It’s step 6 you’re missing. Don’t reimport anything, as you’ll lose all your existing work. You just need to use Find Missing Folder to link the old D drive references to the newer E drive. So I decided to delete all my files in my Working Files folder on new computer and re-copy them over from my old computer. I am going to also re-copy and move the Lightroom 5 .lrdata and .lrcat to my new …Libraries/Pictures folder. Do I need to transfer the Lightroom 4 catalog as well as the Lightroom 5 catalog? So I am changing from a Mac to a PC. I have all my photos and the catalogs on external hard drives (formatted for Mac) that are not currently PC compatible. The disk space it takes up is about 6tb. Thanks for your tip about HFS. To be clear, is the “slow” disadvantage to using hfs for long term data management, or formatting to FAT32 still applicable? I understand that these operating systems have come a long way in therms of communication. So should I plan to format my disks to a pc native drive format after the data is backed up on a PC? I don’t plan to switch a lot, but it may be nice to have the option. Alos which is faster and more seemless? FAT32 format or using a program like HFS? Using software to read HFS formatted drives on Windows works pretty well, although it adds another variable with potential to go wrong, so I’d usually suggest using that on the lesser used platform (i.e. if you mostly use Windows, format as Windows format and then use software to allow the Mac to read/write to Windows format). I just purchased Adobe Lightroom 5. I currently have a PC and will soon be getting a Mac. I don’t want to end up purchasing another license because I installed it first on a PC and then later uninstalling and then installing on a Mac. Am I safe to do this as long as I have it installed only on one computer at a time? Yes, that’s fine John. The license is cross-platform and allows you to install it on 2 machines (for your own use) at any one time. Hi Trisha. Sounds like you’re doing well so far! Did you get the hang of the hierarchy bit? The catalog itself has to be on a ‘proper’ hard drive rather than a network device like a Capsule. That’s the Lightroom Catalog.lrcat file (or whatever yours is called) and the Lightroom Catalog Previews.lrdata file. The photos can stay on the Capsule just fine. You’ll need to move the lrcat file and lrdata file to the internal hard drive of your Mac desktop. It can go wherever you like. By default they go in a Lightroom folder that you create inside the Mac Pictures folder, but you can store it wherever you fancy. Thanks Victoria for such a quick reply. I get what you mean about the catalog on the Hard drive so I copied the catalog.lrcat and .lrdata files onto my desktop. When I tried to open the catalog it said I had to upgrade and then only 271 photos were shown instead of 25000.Then I went back into Lightroom 5 and my 2000 photos from the last month or so have disappeared and I’m left with 271 photos from 3 years ago. When I opened the preview lrdata file no photos were present. Any idea what’s going wrong? All my presets have been disabled too in develop mode. I prob should get someone in to do this for me before I make any more silly mistakes. Trisha, that sounds like you’ve copied the wrong catalog. Still got the old machine up and running? Open Lightroom on the old machine and go to Lightroom menu > Catalog Settings and it’ll show you a button to take you to the location of your current catalog. That’s the one you want to transfer to the new machine. Don’t try to open the preview.lrdata file – just the .lrcat catalog file. The previews just ‘come along for the ride’. Righto. That seems to have worked and all my presets are now working again. Thank you so much. You are amazing! All the files are missing so I guess my punishment for total lack of hierarchy is to find their file path one by one. Should only take until next week!! Thanks again. Great job! The missing files is the reason setting up the hierarchy is in the instructions – it’ll allow you to use Find Missing Folder on the parent folder and it’ll automatically find the subfolders. If you didn’t do that, you could still go back to the old machine, do it, and then copy the catalog again. I’m back! Again. Sorry. Just one little dilemma left to solve. I have managed to link most files but I now suspect that I have created two catalogs if that makes sense. I have all the photos from my old PC transferred but the photos I have taken since I started using my Mac are no longer in my Lightroom. When I look at “open recent” there are three different catalogs (Lightroom 5 desktop, Lightroom 5 pictures and lIghtroom 4) and it tells me that if I want to open a different catalog I have to relaunch. Does that make any sense to you at all. I have all the original files but I really don’t want to have to edit them all again! Thanks in advance. I really appreciate any help. Hi Trisha. No trouble, all you need to do is merge those catalogs. Back them all up before you continue. I assume that the catalogs have separate photos – there’s no overlap? If so, pick which one you’re going to carry on using. Open it in Lightroom and go to File menu > Import from Another Catalog and navigate to one of the other catalogs. In the next dialog, press OK and all of the settings will be copied into the open catalog. Repeat for the other catalog, if that’s also got additional photos settings in it. Well done! If you’re still having problems with the update file location, show me before/after screenshots and perhaps I can spot the cause. I have been reading up on your post and its very informative. I apologise if this seems a little out of topic with the current post, however I stumbled upon this post because of the file links. I am just trying to start up using lightroom and am trying to set up my files so that only my original photos are in the external harddrive. I intend to keep my lightroom catalog file in dropbox where it can be synced. My issue is that I use both a Mac and Windows OS, both of which I would like to access lightroom with. Is there any way I can set up the directory links to the external harddrive, without having to relink it everytime i swap out the external drive. From my understanding the directory names for mac os are slightly diffrent from windows, in that the external drive lettering is dropped ( e.g C:/ ). Thanks in advance and sorry if this is not relevant with this topic. Hi Nick. No, there isn’t an easy way to do that – you’d have to relink the parent folder each time (although that’s quite quick to do if you have a hierarchy). But if you have enough space on your Dropbox account, have you considered using Smart Previews? Then you could work most of the time without the external drive, and just plug the drive in when you need to edit in external editors (i.e. Photoshop) or output top quality files. Hello. I am also moving my lighroom catalog and images to DropBox so that I can access the full catalog and pictures from all of my computers and they stay in sync. The entire process looks straightforward (thank you). However, I’m concerned about what will happen with lightroom sync (where my images end up on lightroom.adobe.com). I’ve previously had one computer syncing with lightroom.adobe.com so that I could access my pictures in the cloud or on the mobile app. If I move everything to DropBox and open Lightroom on a different computer, will everything continue to sync properly? Thank you! Hi Bobby. It *should* all work correctly. Everything will look like it’s resyncing when you first open it on the second machine, but that’s just Lightroom downloading the sync information to cache files on the new machine, so that the new machine knows what’s already in sync with the server. It’s not a scenario that Adobe will have tested in great detail, but I’ve used it that way for a long time without significant issues. It’s definitely a lot better in the recent Lightroom releases than the early ones. Thank you for your helpful website and this article has been just what I was looking for! My question is, I have a new Mac and had to back up my old Mac before I wiped the drive (then sold it and bought new Mac), so I’m backing up from external hard drive. I am wondering if there is a way to use this opportunity of reinstalling to make LR run faster. But I am confused when it comes to how to start off fresh but still be able to have access to my previous LR photos. Maybe another way to ask you is, how do I make LR do everything faster? Is there a way to arrange my folders and photos so that the application isn’t bogged down by my large photo library? Thanks again! My hierarchy is basically how you have it: LR Master folder/folders by year/folders by month. I read your site when initially setting it up. Hi Leslie, sorry for the delay replying. How big are you calling a “large photo library”? Are you into the hundreds of thousands yet? What are you finding slow particularly? Thanks so much for replying! I have gotten it down to 3500 photos after brutally deleting the ones I don’t need. My new computer is fast at this point because it has a newer processor, but my old one was very slow to display photos when I would try to click through them using the arrow key. They start out pixelated and then it would take a few seconds to display without pixelation. I heard that there are ways to organize LR so that it doesn’t have to go through needless edits, photos, etc. So I thought that while I’m getting a relatively fresh start, I could organize it the best way to keep it from bogging down. Hi Leslie. Aaaaah, 3500 is tiny! The biggest known catalog was 1.9 million at the last count, and yes, that one’s probably a bit slow! 😉 I often run catalogs above 100,000+ without any slowdown, so you have nothing to worry about on catalog size. On your old computer, it sounds like you didn’t have previews rendered in advance, so it was having to build previews as you browsed – and on an older slower processor, that’s slow. To solve that, select all of the photos and go to Library menu > Previews > Build Standard Previews and let it cache them. For future imports, make sure Standard is selected in the File Handling panel of the Import dialog too. Depending on your screen resolution, you might want to go to Lightroom menu > Catalog Settings > File Handling tab and make the standard preview size a bit bigger before you build them. Beyond that, you shouldn’t have any significant speed issues on a current Mac. Keeping your catalog on an internal drive is a bit faster than an external drive. Let me know if you have any trouble! That is funny that I thought that my library was completely out of hand being over 3K photos. I assume you mean RAW files, and can’t imagine having 100K! Thanks so much for the tip on building previews. I’ll do that right away. one more question … not sure how to set the File Handling/Standard Preview Size. I have a retina display, so not sure if that means I have to go to 1:1, or if I can choose a different option. The choices go from 1024 to 2880 with about 3 choices in between those extremes. Does that make sense? 15″ retina? Go for the 2880 option then they’ll be big enough. If you always keep the panels open, you might get away with the next size down. Hi Victoria, I hope I am not repeating a question you have previously answered but here goes. I have LR 5.4 on two computers, a laptop and my main desktop computer. I am going to be upgrading my PC to a new computer with OS 8 and SSD and retiring my desktop. Since I already have LR 5.4 registered on these 2 computers, how can I add LR to a new computer (3rd), transfer my LR 5 to the new computer before deleting LR and getting rid of my old computer? Adobe will see it as 3 computers and prevent me or charge me for this temporary “3rd” computer using LR, won’t they? Hi k.langenberg. You’re using a perpetual license, not a CC subscription? If so, no, don’t worry, there’s no activation on Lightroom so Adobe won’t know you’ve installed on the third computer. They’re trusting you to remove it from one of the computers when you’re done with the transfer. If you have a subscription, it may just require you to sign out of CC on one of the computers before it’ll let you go ahead. Victoria: Thanks so much for your writing — they are always clear and to the point. I have been using a PC until now. I keep all my photos and cats on an external raid drive (Drobo connected via USB2.0). Q1: When the photo count reached 200K, I saw some slowness, mainly in loading and backup. So, I have started using new catalogs for each year. Should I continue to do that or should I combine all cats into one giant. One big advantage in one big cat is searching is easier. Q2: I have just purchased a new Mac Pro and plan run both Windows and OSX (via Parallels) on it, and on each OS, to run CC. I have also purchased a new Thunderbold Drobo hoping it will be faster. (a) I can easily copy all LR files from the old drobo to the new one and connect it to the Mac. I can then run LR on the WIN side of the Mac. (b) I can also copy the files using the mac on to the new drobo and hope that LR on the Mac can read those files. If speed is my top priority, which of these do you recommend? Yes, opening and backup are the bits I’d expect to slow down, just because it’s a big file. If that’s a big problem, rather than one catalog for each year, how about a current working catalog that’s small and merge all of the rest into one big archive catalog. At least then when you need to search, you only have 2 catalogs to look through. For your new Mac, congratulations, nice machine!!! Running on OSX natively will always be quicker than running through Parallels, so once you’ve moved over and you’re comfortable in the new OS, I’d run Lightroom on the Mac side. Is the Mac going to become your primary machine, or do you still need to access the Drobo from Windows too? I’d wait until you’ve got the Mac, then plug both Drobos into the Mac. Is your current Drobo formatted as NTFS? If so, your Mac will be able to read it. I’d format the new one as HFS (the Mac format) and copy the files over to it that way. Victoria, thanks for the advice. (a) I do not have much on the Drobo other than the photos, so I would upgrade to the new thunderbold Drobo and discard the old one. (b) I am hoping that the new mac would be my primary machine. I am not sure at this time. (c) the old Drobo is NTFS. The new one will be HFS as you suggest. Q1: Should I merge all catalogs on the old machine and transfer the merged catalog to the Mac or should I transfer all catalogs first then merge? Currently, the old Drobo has been assigned the letter X on the PC. Do I need to worry about this identification when I transfer to the Mac? Q2: I know that there a small number of photos that got duplicated into more than one catalog. Does this cause a problem on merge? I’d merge the catalogs on the old machine, primarily because you’re more comfortable with the operating system on there at the moment. It’ll potentially save confusion later too. For the duplicated photos, when you use Import from Catalog to merge them, it’ll say that some of the photos already exist. Unless you’re sure which is the most recent version (or that they’re the same in both catalogs), I’d let it create virtual copies so you can clean up later. Yes, I understand. Merge first, then transfer. I also see what you say about duplicates. Will so as you suggest. BTW, just got delivered a brand new copy of your FAQ book from Amazon! Will start reading it right away! Excellent, hope you enjoy it. Don’t forget to register it! I have sent the registration email already. Does your book apply to LightRoom CC? Ah great, I’ll pick that up and reply in a bit then. Yes, it applies to Lightroom CC – it’s exactly the same program, only the installation process is different. Victoria, thanks for clearing up a lot of things for me. I went through your steps, but I skipped Step 1 because I thought I was kind of ok with my hierarchy (nope, I realise now I just misunderstood). I went back, right clicked on the top folder and selected ‘Show parent folder’. The right folder (‘My Lightroom Photos’) showed up, but it turned up in the wrong place. Instead of showing up under the ‘Diskstationsyn/photos’ folder where all of my photos are stored (this is on an external drive), it showed up under ‘Macintosh HD’. I’ve attached a photo to show what I mean. I’ve tried to move it down, but it won’t budge. Do you have any suggestions? This is my first time using a Mac after having a PC for years, so I feel totally out of my depth. I can’t see the picture, but does it say Volumes? You might have just gone a little too far. Don’t panic, that’s fixable – it’d just help to see the picture to give you exact instructions. Thanks for your quick reply. I hope this works… I couldn’t get the picture to attach directly, so I’m sending a Dropbox link. Screenshot was perfect. Ok, so Lightroom thinks the Diskstation is offline at the moment. If you look in Finder, can you see your Diskstation listed as a mounted drive? If not, can you mount it so you can see it in Finder, and then check back to see if Lightroom puts a little colored rectangle next to its name instead of the dark grey one? The lack of a single parent folder won’t cause a problem because you’ve only got a few parent folders there to relocate. Worst case scenario, you might need to right-click on 2007, choose Find Missing Folder and navigate to the 2007 folder, and then repeat for 2008, 2009, 2010, etc. Thank you so much again for your reply. I’m having trouble working out how to mount the drive. I haven’t had much time to play with it though, so I’m not giving up yet. I’ll let you know how it goes. If you show me a photo of your Finder sidebar, I might be able to give you a clue. Does this mean anything to you? As I said, I know nothing about Macs, so Finder makes no sense to me… yet. I followed the instructions to mount the drive, but I still can’t get the triangle to turn green, so I think I must’ve done it wrong. Here’s the dropbox link to the screenshot of the Finder sidebar in case the photo didn’t attach. Forget it. It’s working! 🙂 I went back through my steps, changed some preferences etc, shut down Lightroom in complete frustration, and when I opened it up again to give it another go, the correct folder had a green triangle. I even managed to get the parent folder to show up in the correct place. Brilliant news Janine! Well done! Do collections need to be dragged across separately, or do they come over with the catalogue ? Collections are just metadata, so they’re included in the catalog. The photos in the collections are in folders on the hard drive, of course, so the other instructions still apply. The paths on the linked page are correct: https://www.lightroomqueen.com/backup-lightroom-files/. Although the preferences file itself isn’t cross-platform, so there’s no point transferring that. The Library folder on 10.9.4 is hidden by default. In Finder, hold down the Opt (Alt) key while going to the Go menu to make it show up in that menu. I also am in the process of switching from a PC/laptop to an iMac. followed your tips to move my LR. I am able to see my catalogs, but there is a question mark beside them on the left, by their folders, then an exclamation beside each image. When I right click on the image and try to locate it ( on my external hard drive) then it asks if I want to find all other images nearby. When I said yes, it deleted all of my images from that folder! I can still see the name of the folder, on the left, but it says “0” images. Do you have any idea what I am doing wrong? That’s ok Charity – if you look in the Folders panel, there’s probably another drive listed, showing the name of the external drive, and they’ll all be in there now. As you continue locating the missing folders, they’ll all eventually shift. You’ll find it quicker to relocate whole folders at a time rather than individual photos too. Do they need to be moved to the HD on the MAC, or should I be okay, leaving them on my external HD? They’d be fine on the external drive for the minute. You might need to reformat the drive before you can add anything new to that drive though, depending on how it’s formatted. I don’t believe I ever formatted it. Should I move everything off of it, then format it, then put it back on? Yep, that’s the idea. Google ‘how to format as HFS’ or ‘how to format mac drive’ for instructions. Just be aware the PC won’t be able to read it (just in case you’re keeping the PC too). There are alternatives, but that’s the most straightforward option if you’re doing a one-way PC > Mac switch. I’ve just moved from an old mac running LR 4 to a new mac with an installed LR 5. Did the move like you said, everything relating to photos, structure and location is fine. Also smart collections based on keywords – BUT, no smart collections based on color label (I use green for “developed and ready” for example) were replicated. So I’m basically here with all the photos and stuff (also user developer presets that I copied from that library folder) but no color labels. How the heck do I find that meta data (I suppose) and pull that in to the new computer and LR 5? Hi addwax. Just double check under Metadata menu > Color Label Set to make sure your color labels have the same names as they did on the old computer. That’s the most likely suspect. If you look in the Metadata panel for a photo that used to be labeled, you should fine the label name is still listed there. Hi Victoria, i already do the way you explained but there is a problem, my user presets which been made by me is not working on the new laptop, it show you the effect in the navigator but when you apply it on the photo it doesn’t work, please Help ! That doesn’t sound like a problem related to moving to a new computer, but rather a computer-specific problem (yes, I know it sounds similar but there’s a subtle difference!) Are you running the latest update? And the latest drivers for your computer, especially the graphics card? And have you tried all the standard stuff like rebooting? What’s your Lightroom version and operating system? Hi victoria, LR 5.6, windows 7 64, actually i dont know how to update my drivers, there is an old way from task manager i already did it but it says it’s all up to date, the thing is it accepts some presets and the other refuses, i noticed that some of this presets where 2010 interface, if that helps, maybe there is an option in lr refuses 2010 preset? Interesting. So is it just the 2010 ones it’s skipping? That would be a bug, if so! Hi Jeff. If she’s got an LR4 license, you can just buy the upgrade. Order of transfer vs. upgrade doesn’t matter. If her old machine will run LR5, install the trial on there, open her catalog into LR5 and it’ll ask to upgrade. Check everything looks ok on the old machine, install LR5 on the new machine and start moving the files. The rest of the transfer runs as above. If the old machine won’t run LR5, install LR4 on the new machine, transfer the files, get everything looking right and then install LR5 and let it upgrade the catalog. The reason for splitting the process is LR5 checks the original files for extra metadata during the upgrade, and if you’ve moved computers at the same time, then it probably won’t be able to find those original files so it won’t ever find that extra metadata. Hi Steve. Yes, the same principles apply as above. Only thing to watch out for is LR3 on the current Mac OS Yosemite has a few oddities, like turning the sliders funny colors, so you might decide to upgrade to LR5 once you’ve moved. Thanks so much for putting this up, just migrating from PC to Mac so this is a lifesaver! One question before I start: the link in the article re. all the LR files needed for the backup/switch is broken (“Click here for a full list of all the Lightroom files you need to include in your backups”). Would you mind listing them again, or putting up the correct link? Done! Thanks for letting me know. I’m still tracking down the broken lines from the website relaunch. Hi Victoria: Kudos to you for the site – excellent information. Just moved from a Windows 7 PC (LR4) to Mac OS X 10.10.1 (LR5) … I went through your guide to Move LR to a New Computer, and I had the file structure setup on the PC with a hierarchy. However, the parent folder of the hierarchy is not showing when I opened my LR4 catalog (PC) in LR5 (Mac). Did I miss a step? Eh, disregard my last question. I figured it out – I had to select “Show Parent” in order to see the parent to find the new location. Well done! It doesn’t sound like you did anything wrong, so I’m not sure why your parent folder went walkabout in the transfer, but well done for spotting how to fix it! So my 27 inch 3.1 GHZ 16GB of ram is so unbelievably slow now even with tons of HD space avail. I am doing a clean install of Yosemite. Version before was also just as slow. The computer used to be fast. Anyhow. Will doing all these steps keep my rating number in my catalog when I re install on the new hard drive following all the steps above. My catalog is about 800mb and I want to make sure all my ratings move over as I have spend hundreds of hours going through images editing. Any help would be appreciated! Yes, these steps will save all of the information. Help! My husband recently upgraded our operating system as I kept getting a “not enough memory” message in my LR4 most of the time i was trying to export anything. I’m not sure he has reinstalled LR4 correctly. Unfortunately… I did not find your website until AFTER things have been transferred and seem to be one big mess! How do I get all my photos to show up within their appropriate subfolders so I can find things again?? I think I have one BIG mess on my hands. Oh dear! Don’t you just love helpful husbands?!? So if you look in Explorer, can you still find your hierarchy of folders and subfolders somewhere? Even if they’re on a backup drive? And if you hunt around, can you find the catalog you were using before he ‘helped’ or even a backup of it? Because it sounds like he’s done a new import, the mishmash you can see there at the moment is probably missing all of the work you’d done to the photos, so we really need to step back in time and at least find a catalog with your old hierarchy, even if all of the photos are marked as missing in it. Yes… the husband actually has been very helpful in upgrading the system… just got into a little trouble transferring the LR stuff. I do believe he did an import because I did notice that some of my edits, etc did not transfer over. Yes, I CAN see the folders and subfolders for my work. Also… I am have really complicated things because I read somewhere about building previews so i started that running on my computer. I built standard previews and then began rendering the previews (can’t remember exactly)… a very long tedious process… but hit a point where it seemed to stop because of “low memory”. Oh my… have it doubled, triple saved everything and clogged up all my memory? I’m starting to think I need to clear out everything and start all over. Thank you so much for all your wisdom and help in getting my mess untangled!! Which operating system and LR version are you now running? Don’t worry about previews at this stage. We can go back and clean that up. Did you find a backup catalog or the catalog you were previously working on? I’m using LR4. Yes… I can see a list of all my original work. I’m going to need a little bit more than that. Windows Vista? 7? 8? 32-bit? 64-bit? Lightroom 4.0 from the CD? 4.6, which is the latest update? WHERE can you see a list of all your original work? If you’re looking at it in Lightroom, does it have all of the original settings applied? OK… so sorry…. forgive me if I don’t answer you completely. I am at work and not sitting at my home computer so I’ll answer from memory as best I can. No worries. I think we’re going to need to chat more than we can easily do in the comments here. Why not post it on the forum at https://www.lightroomforums.net and we’ll give you a hand to fix it. Thanks! I will do that. Hi Victoria, this site has proved very useful tank you for your comments. I now need your help! I recently migrate my Lightroom 5 from my macbook pro to my new iMac desktop. Everything appears to be working fine but i have lost all the metadata for all the NEF files. This includes al the Keywords, flags, colour labels and most annoyingly all the edits that i did previously. The files that i converted to DNG are fine in terms of the edits i did, they were transferred, as were the colour labels, but the flags are gone. Also my Collection sets, Collections and smart collections were not migrated. It sounds like you imported them into a clean catalog instead of transferring your old catalog over. Do you still have access to your MacBook Pro? If so, go back and retrace your steps using the instructions above to transfer the catalog. Yes i do still it with everything on the macbook as it was, so should i delete everything from the iMac and just start again? If the photos are in the same folder structure, you should be able to leave those and just copy the catalog over from the old machine again, and then relink the ‘missing’ files. You might want to check for presets and things like that too. Am about to get a new desktop and continue using laptop and this was very useful to read. Also comforting as I am wanting to use new machine for professional work first weekend after getting it. Had a little look round your site and really like it. Lovely look and feel, well written and lots of replies to people from yourself with photo of you for that personal touch. Will be recommending to other photographers that I know. Thanks Craig. If you get stuck, you know where I am! I have small question to ask you. l’m Lightroom 5 user. I store all photos on external hard drive. The drive is getting full. I will like to get a new drive to attached to my PC. What do I need to do before and after attaching the new drive. Read your migration article– I currently have my LR 5.5 set up on a laptop with Windows 7. My photos are in a single folder called My Photos on an external hard drive. I want to install a mirror set up on my desktop which came with Windows 8.1. I also have the same LR installed and an assortment of of photos and files–all of which can be deleted. Should I first re-install LR? Then attach my external hard drive and import the MY Pictures library from there? Hi Roy. When you say you want a mirror setup, you mean you plug the external drive into whichever computer you’re using at the time and be able to work with your catalog? Assuming the answer’s yes, your simplest option is to move the catalog/previews onto the external drive. You can then install LR on both machines, and when you plug in the external drive, just double-click on the catalog file to open it. In case there are any other dinosaurs out there (like me) thought you might like to know the LR transfer also works from LR 2. I have just succesfully completed in a single step a transfer of photos and calalogue etc from PC based LR2 to Mac based LR5 – all without problems. So far at least! Great news Greg! And if anyone’s curious, it’ll upgrade from LR1 onwards. Hi, thanks for a VERY helpful article. I just have one question. I have to reset the work MacBook I am using to factory settings and then reload all my personal files back on to it. I have LR on this MacBook which I would have to take off and put back on again, which all seems a bit of a hassle. But essentially the process is to clear the MacBook of all the work files. Is there a way of not taking the LR package off at all during the reset? I guess not? I don’t think so, if I’m understanding you correctly. Although if your username isn’t changing, you probably won’t need to do any relinking, so it’s not as big a job as it sounds. I use a windows 7 PC for all my Lightroom work and have recently acquired a new laptop to allow me to work remotely also. If I back up my catalogs to a external drive (the same one the images im working on are in) then import them to my laptop will it also import flagged images and any adjustments I’ve made? on my PC beforehand? Hi Victoria, I’ve just upgraded from LR5 to LR6 on my iMac and want to do the same on my Mac Book Pro. I’m either blind or stupid but I can’t find a way of doing it. Do you have a serial number or a subscription? I have my LR6 serial number. Just copy over the installation file from your other computer (the dmg file) or log into your Adobe.com account and download it again on the MacBook Pro. THANK YOU, great step by step. I had no issues until #5. I’m trying to open the (transferred) catalog on my new lightroom and nothing is happening… I’m on a mac. I double click, I select and open, I try transferring again….nothing. Still “0” photos in the library. Any thoughts? Check the size of the transferred catalog – you might have transferred the default catalog but been using a different one. 1. some files being out of the my targeted folder (but LR knew where they were) – resolved. 2. some files being out of my targeted folder (but LR didn’t know where they were) – resolved. 3. some files are missing(!) from a folder that is shown on LR, but is not on my hard drive (but the files are actually in a different folder on my PC hard drive. I am not sure how to resolve the 3rd situation, where a folder is shown in LR, but the folder doesn’t exist on the PC, and the photos are actually in a different folder on the hard drive. I appreciate your insight on how to resolve. Oh dear, it does sound like LR got in a bit of a tangle. I’m not quite sure I’m following situation 3 – where are the photos themselves on the hard drive? And where does LR think they should be? It might be easiest to post screenshots on the forum so we can see exactly what you’re looking at. I’ve currently got nothing of value on version 5.7.1 and I’m happy to lose what is on it. Do I have to run the update on my old computer and then transfer it to the new one, or is the update a full version that I could just install on the new computer? Gordon, based on my recent experience…be aware that LR6 requires a 64-bit machine. I had to fight for a refund (about 40 minutes) because of that. Hopefully, yours is 64-bit. I was attempting to upgrade PRIOR to the transfer based on advice I’d read on Victoria’s blog or in the forums. After some digging on the Adobe site, I ultimately found a link to simply download (not buy) 5.7.1 and installed it on the new computer, and used the serial number from the old computer’s LR install to activate it. Also, note that you may need to find the SN from your original emailed download receipt, as the SN in LR is not complete (missing the last 4 digits). Excellent notes Ben. Yes, LR6 onwards is 64-bit only. Just starting the switch to a new computer, how wonderful to have come across this posting! Should help me get through this scary process! Thank you for this post this is what I needed when our laptop crashed and we had to have it reinstalled. Luckily I had everything backed up on two external hard rives. I have a lot of Lightroom backup folders dating back about 5 years. Do I need to keep all of them or do I just need to keep the newest one? No, you don’t need to keep them all. I usually suggest keeping intermittent ones (e.g. 1 year old, 6 months, 3 months, 2 months, 1 month) plus your most recent, just in case you come across a problem that happened some time ago. My catalog just finished importing but all of 2014 is missing. Can I import it again or will that add everything twice? You better tell me more about what you’ve done Tim, because my instructions didn’t tell you to import anything. I said to copy everything over then open the catalog, so I’m not certain where you went adrift yet. I found them I was looking in the wrong drive. Thanks for all of the help. Hi There. I love your site! I am attempting to upgrade from LR3 to LR6 and also trying to switch platforms from PC to Mac at the same time. I keep my catalog and all of my photos on an external drive (formatted NTFS). I’ve followed all of your instructions on backing up my data. Now I’m ready to proceed with the migration. I purchased a new external hard drive (G Drive) that says it’s formatted for Mac. Can I just copy the LR3 catalogue from my NTFS drive (by plugging it into my mac) to the new external drive? Will my Mac convert the files for me? I understand that the mac can read NTFS, but cannot write NTFS. Also, can I install LR6 on my Mac and then import my LR3 catalogue? Will I be able to continue building that catalogue using LR6 even though it began as a LR3 catalogue? Do you have any specific suggestions that might help me with this? Thank you very much for your time!! Yep, plugging both drives into your mac and copying them from the NTFS drive to the new external should work fine. And yes, you can install LR6 on the Mac. If you try to open the LR3 catalog (no need to import), it’ll automatically upgrade and yes you can continue working in that upgraded catalog from then on. Wow! Thanks for the speedy reply!! I really appreciate your articles and your guidance!! I’ve looked everywhere and can’t find my serial number. Is there anyway of moving it to new mac without having to buy it again?!? I am moving from PC to Mac. I have done little work in LR, just cropping some photos and changing the lighting on some, and exported all the results in picture folders. Do I still need to do all the steps you recommend? I though it might be simpler to re-create a catalog as my photo files will be in the cloud. It depends on what you mean by “as my photo files will be in the cloud”. If you want to start again from scratch, then yes you could just create a new catalog. But don’t delete stuff off the old one until you’re all set up. That’s most likely down to the Store Presets with This Catalog checkbox in the Preferences dialog. Where are your folders of presets? I’ve been looking through all your very helpful comments on transferring Lightroom bu can’t find an answer to my problem yet and just wondered if you could help. I run Lightroom CC on my iMac and suffered a complete hard disc failure. Fortunately managed to get most of my data and all my photos safely retrieved – phew!! I’ve got all the catalogues safely in a hierarchy, so all is good so far. However, I am completely stumped in trying to locate and transfer my collections information from the old data. It just hasn’t appeared after transferring the .lrcat files. Have you any ideas? Hi Allan, sorry for the delay replying – just back from vacation. Sorry to hear about your iMac. So have you tried simply opening the backup catalog or old lrcat file? That should do the trick. If it doesn’t, just post all of the details on the forum (link on the menubar) and we’ll help you figure it out. Hello! I currently use Lightroom CC on a Windows 10 PC and keep all my photos in a folder on an external hard drive (several hundred thousand images). I just bought a MacBook Pro (w/retina display) and have installed Lightroom CC on it. I would like to copy my photos folder from one external drive to a new external drive to use on the Mac. The new external hard drive is supposed to be compatible with both pc and Mac. My question is can I copy the folder on the external drive (Windows PC) to the new external drive and use the new external drive on the MacBook? I want to use the external drive only on the Mac (not copy the files to the relatively small hard drive). Will I be able to read and write (and have the trash can available) on the new external drive? Any advice is greatly appreciated! Thanks! It depends on how it’s formatted, but if you’re only going to use the new drive on the Mac, I’d suggest formatting it as HFS on the Mac. If you plug your old drive into your Mac, the Mac will be able to read it (even if it’s NTFS formatted) so you can easily copy the photos onto the new drive from there. That’s easier than trying to do it on the Windows PC. I have installed LR 5.7 on a desktop as well as on a laptop. The desktop computer however has problems and crashes (HW-problems) so I need to move my license to a new desktop computer. The same procedure is needed for Elements 12. None of them is part of CC. I can’t find somewhere to unregister my installations on the desktop computer. Up to and including LR 5.7, the Lightroom licensing was done on an honor basis, so no need to unregister those. Elements 12 usually gets deregistered by uninstalling, but if you run into problems reinstalling, Adobe chat should be able to help. I’ve just read your article and saved copies of all the files you recommend to an external drive(F:), prior to the imminent arrival of my new 27 inch iMac Retina 5k computer and the transfer of everything from my PC running Windows 7. My present PC has a partitioned memory with all the operating system files on C: and all the Data files on D:. So while most of the saved copies are D: files a few are C: files i.e. the Presets, Camera Raw settings and Preferences. Will this affect how I transfer the files to the iMac? I don’t have the Mac yet but I am trying to be pre-prepared! As long as you have all of the files on the external drive, you can copy them to their correct locations on the iMac. For example, the Presets, Camera Raw, etc. will go to the iMac’s internal drive. And as long as you’ve followed the instructions above, you shouldn’t have a problem linking up the files, don’t worry. Hi Victoria. Thanks for your reply. I have now, I think, successfully made the transfer – for which your detailed guide was excellent! I do have ‘left over’ on the external hard drive I used files(?) titled Lightroom 5 Catalog.Ircat-journal and ditto Ircat.lock and Temporary Import Data.db and ditto .db-journal and the same with the numbers 2,3 and 4 after Data-. They are shown as black squares with exec at top left. What are these and do they need to be dragged over somewhere? The temporary import data files you can safely delete. The journal and lock file would suggest that LR was open when you copied it. The lock file can safely be deleted, but the journal file ought to be copied over next to the catalog as it could potentially include data that hasn’t been written to the catalog yet. Following on from my last 2 questions, I now have all of my photos on my new iMac in the folders I transferred thanks to your excellent advice. They are located in Finder >Go > All My Files >Pictures where notably are folders for Lightroom itself, My Lightroom Folder which contains all of the images in my Lightroom Library and Exported JPEGS. Now, none of these appear in or can be accessed from Photos in the Dock on the home screen. Is this normal? Or is there a way of accessing them from Photos? Secondly, all of the many photo folders in Exported JPEGS appear on my iPad as Albums, but I cannot see how to achieve this in Photos on my new iMac from the basis of the transferred files. Thirdly, in attempting to move them all to Photos >Photo Albums on the Mac from my iPad somehow they did not appear there, nor in Pictures where the Photos Library icon shows it has no content, but all 5,000+ of them are spread all over All My Files. What exactly I did to bring this about, I cannot now clearly recall! I could laboriously one by one delete them in All My Files, but will this delete them from all my other files/folders? The Photos app is completely separate and wraps the files up in its own special format. Lightroom doesn’t know anything about it. You might want to copy your Photos library over from your old computer, but you’ll create a lot of duplicate images in the process. That’s probably one worth discussing at http://www.lightroomforums.net if you’re considering doing that. All My Files is like a Lightroom Smart Collection – it’s just a saved search grouping photos that are spread in numerous different collections. Don’t go deleting your photos from there. I bought a new machine this time a MacBook I installed Lightroom cc on it ( not opened it yet) . So the question is there a way to get my photos back to the new Lightroom and recreate a new catalog without loosing my stuff? Ps I have a backup catalog but 6 month old…. If you can’t access your catalog and your last backup is 6 months old, you just have to make the best of it I’m afraid. If you hadn’t reorganised the photos into different folders, you could transfer your 6 month old backup catalog, link up the missing files with the external drive, and then import any photos that you’ve taken since that backup was created. Is the old laptop hard drive definitely damaged? Because you might be able to take it out of the broken laptop, put it in a USB enclosure (they’re really cheap) and use that to access your catalog and any other files that you didn’t have backed up. So if I relink the old catalog to the LR CC do I need to add all photos 500 again? Yes, if you relink the 6 month old catalog, it won’t include the extra 500 photos, so you’ll need to add those to the catalog using “add” at the top of the import dialog. You’ll need to edit those 500 again I’m afraid. Quick question I was able to access part of my old HDD , still not sure if and how much I can recover, what files do I need urgently from Lightroom , it shows me a folder with over 6 gb of data do I need all or are there some specifics which I need and then it can recreate the missing things? You primarily need the file ending with *.lrcat and you can skip any *.lrdata or *.lrprev files. How big should the be I have an old one Lightroom 5 size 154,110 Kb and a other from Lightroom ( I guess it is 6 CC ) size 9,612 KB quiet small does this make sense? I’d copy both Marc. The LR5 one is probably the one you want – the other one may be an additional catalog with a small number of photos, that you might want to merge into the main catalog eventually. You might want to go find your presets too. I’d copy both off, just in case. I’d guess the newer is the one you need, but it’s impossible to say without opening them. I got my old catalog back and running , that said its the old one, and I have lost about 500 fotos in the library , my questions , if I make a copy of the folder which contains all photos , and copy them to an other external drive, could I just go and say import new photos , link to the new external drive with the copy of all my photos which where linked to the lost catalog ? Would Lightroom recognize which photos are allredy in my catalogue and which not, and than just add the nonce which where not linked in the old catalogue? Should this work? The point is the total photo folder is about 80 GB and 20 000 photos? Should I split by year or month .. So do you think this would work , and what would be your recommendation? I’m not quite following why you’re not using the new one that has the extra 500 photos in it? Or why the missing 500 photos haven’t been copied to the new computer along with the rest? I use an external Hd from Wd (my passport 1 GB) I set up a folder named photos and in this folder Lightroom created all sub folders for year and dates. So all fotos/videos are in the sub folders. I have the old catalogue (3 month old) in LR and have the new HD 2 GBG linked . All perfect, just missing the -+ 500 fotos/videos in the catalogue. So my idea was to connect the old hd 1GB as well and import fotos from the photo folder of that HD to my library and than link the photos automatically to my catalogue and therefore have my fotos back in the catalogue. I know LR has a feature to check if the photo is already in the catalogue or not , so the idea was to use LR for searching the fotos which are not in the catalogue today. If both drives are identical, then yes, it’s easy to fix. Back up your catalog first. Connect whichever drive LR’s currently linked to, then go to import and select the entire Photos folder (or right-click > Synchronize but make sure import new photos is the only one checked) and go ahead and import. It should only import the new ones. Have been reading through this from the start. I may have missed something but do you copy the catalogue to the new LR on new laptop and then copy the photo files over, please? Have LR on CC. In step 4, you transfer the files—the catalog, the photos, preferences and so forth—and place them in the same locations as they were on the old computer. Then it step 5 you open the copied catalog into Lightroom. I got muddled and was planning to move the folders with photos “in”Lightroom so thought I had to copy the catalogue first. Does it work if you copy the files to the new laptop rather than move them, please? I’d feel safer copying first to check all went well. Yes, copying would be my choice too. I see the comments about Publish Services above with Daniel. But I don’t see how to get previously existing Publish Services catalog items from the old computer to the new. I have Facebook and Google Plus lists there that I would like to get onto the new computer, but so far no luck. The Google Plus was done with JF Picasaweb plugin, and that is reinstalled on the new installation with no problem. All other LR catalog items and photos came across successfully also. Just missing the two Publish Services lists. Thanks for this Victoria! do you know if it´s possible to merge 2 lightroom backups to one computer? I use to have a laptop and my office, now I need to have both in one computer…. :S HELP! Yes, that’s possible. The steps are the same as above, but once you’ve got everything transferred and working in their separate catalogs, you’ll need to use File menu > Import from Another Catalog to merge the catalogs into one. There’s step by step instructions in my LR6 book on page 511-513, or I’m sure there are tutorials on the web detailing merging catalogs. You mentioned that lightroom can be loaded onto two computers. Do you know the specifications for the student edition? I’m actually just trying to transfer from a pc to a mac so will still only be using one. I couldn’t find any info about the student edition.. The student edition should be identical, but the license just doesn’t include cloud services like mobile sync. I’m hyperventilating because all my pictures on my external drive are having to be recovered right now. They can be recovered but I am wondering how to match up my edits with the recovered photos. Lightroom backs up to my main computer and I store my pictures on an external drive. Can you help me get those matched up please? Thank you so very much! I love your website! When you say they’re having to be recovered, what exactly do you mean? Like the drive died and someone’s running file recovery software? How easily you’ll be able to match them up again depends on whether they have the same file names as the original files. If they come out with new filenames (e.g. recovered000003) then whether you can match them up with depend on what kind of file naming structure you were using in LR. If they had names from metadata, for example, the date-time filename I often recommend, then it could be automated. I apologize if you have addressed this somewhere already. I do regular backups of my work and settings. I recently had to go to a restore point on my laptop. Fortunately it was only back a day and no new edits. It did raise a question / concern. If you ever have to go back to a restore point on that would cause you to lose work – is there a way to take the lightroom backup that I store on external drive and load it? Very unlikely this will ever happen but the idea of losing hours of work because of having to use a restore setting on laptop is not a happy thought. My apologies if this question has been addressed elsewhere. I successfully moved my iPhoto images directly to an external drive and it seems to work just fine with LR CC on a Mac. I now have a new MacBook Pro and have downloaded the creative cloud software and my apps including LR. The problem I’m having now is that lightroom on the new computer does not recognize the external drive. All appears fine on the older computer but not so on the new computer . Can you help? When you say it doesn’t recognise the external drive Steve, what does it see? Have you followed all of the instructions above? Thank you for your quick reply. Yes, on the new computer and with the external drive connected, lightroom does not show the drive or any catalog listings when I look under catalog preferences. Imagine a new Lightroom install that has never been used. No external drive. No photos. No folders. No collections. Previously, I’ve moved my iPhoto library to lightroom according to your instructions outlined elsewhere. Everything worked just as you said it would. The old computer still recognizes the external drive, hierarchy, and images just as it always has. Am I missing something in this thread? Perhaps something with instruction five above? Somehow I was under the impression all I needed to do was plug the Extertal drive-in with light room open and all would be well.. So on your old Mac, you can open the catalog and in the Folders panel, you can see all of the photos on the external drive. Where’s your catalog stored on the old computer? On the external drive or the Mac’s hard drive? You can check by going to Lightroom menu > Catalog Settings. But when you open Lightroom on the new Mac, it’s all empty because you haven’t opened your catalog in step 5. Lightroom on the new Mac won’t know where to look for the catalog unless you tell it by opening the catalog on step 5, so it’s just opening a blank new catalog instead. Ahha! Sweet success! Thanks so much! OK, so followed all the steps to a tee, transferring my LR6CC stuff from old mac to new mac. Only difference btw the computers is that the username (and the accompanying home folder name) are different between the computers. When I open lightroom after copying all the files, it won’t open. Tells me that ‘lightroom quit unexpectedly’ Hmmm. Not sure what to do at this point. I know lightroom was working when I first downloaded and installed it on the new computer… before I copied the catalog and all the other files you mentioned. I’m not sure how to troubleshoot the problem now. Any ideas where to start? I’m wondering about uninstalling and reinstalling? Any help would be appreciated! Thanks! YES!!!! After stressing about it most of the day today. I finally decided to just take the leap and uninstall, then reinstall. Everything is working perfectly now. All my presets, edits, folders, flags, ratings, plugins… the whole ball of wax. Whew! Oh well done Geoff! Sorry I wasn’t around last night! Urgent help! I have a catalog from a Mac that I need to open on a Windows PC , whilst I can open the catalog, it says all the files are missing and I cannot adjust anything. How do I get this to work? Thank you! Just moved LR6 between 2 computers and was painless (well as painless as it can be given the lack of Adobe support for this) thanks to your guide. Ta v. m.
I can’t open my Lightroom-catalog on my new mac. I have all data and photos saved on an external hard-drive from my old PC. Any idea how this can be solved? What happens when you try? If it says your catalog’s on a drive that’s read-only, see the note in the main post about HFS vs. NTFS formatted drives. I am hoping I don’t have to start this process over…. I used Time Machine Transfer Assistant to copy everything from my old iMac to my new iMac. (Ahem, before I read anything about having to install Lightroom and Photoshop first). I thought the applications would transfer as well and that I could just ‘turn them on or register them’ with my serial numbers on my new iMac. I own both licenses for LR and PS. However when I try to open them they ask me to sign up for a free trial and I can’t find a way to get into them to let them know I own the software so that they might open… ? Any quick way out of this? I am hoping I don’t have to start this process over…. I used Time Machine Transfer Assistant to copy everything from my old iMac to my new iMac. (Ahem, before I read anything about having to install Lightroom and Photoshop first). I thought the applications would transfer as well and that I could just open them and register them with my serial numbers on my new iMac. I own both licenses for LR and PS. However when I try to open them they ask me to sign up for a free trial and I can’t find a way to get into them to let them know I own the software so that they might open… ? Any quick way out of this? Are you a CC or perpetual user? On the page that asks you to sign up for a trial, there’s usually an “I’ve already purchased” option to enter your serial. Or if you’re a CC user, try opening the CC app. If that doesn’t do the trick, simply uninstalling PS and LR and reinstalling the software should do the trick. It’s just software that has installers that sometimes runs into trouble. Hello Victoria, thank you fir your suggestion. I am a perpetual user. I tried what you said, but there wasn’t an option that asked if I already owned the software. Instead it signed me up as a temporary CS6 Extended user! I’ve been going in circles trying to get out of these Extended (CC) sign ups and merely use my ability to put my purchased lightroom and photoshop on a second computer. I’d try the uninstall/reinstall then. I am trying to send a Lightroom Catalog with Smart Previews from my external hard drive on a Mac to a friend who has a PC. Once I export the catalog with smart previews, I zip it and Dropbox it to her. When she downloads, she cannot find the catalog file to open, just the preview files. Is this a Mac to PC communication issue? The platform shouldn’t make a difference, but she may have the file extensions hidden, so she may not be able to tell which one is the catalog. Hello, just found your article. I had LR 4.0 on my laptop that i had 3 years ago. I recently got back into doing photography again and would like to get it installed on my new computer but i lost the disc to the program and no longer have the laptop. Will some of these steps still work? And what version would i download? Do you still have your serial number? If so, you can download LR 4.4.1 from the link in step 3. Otherwise, try logging into your Adobe account, as it should be listed there if you registered your copy. Then yes, if you still have your old catalog, the steps above will work. And if you don’t have your old catalog, you can start afresh. i tried to understand the process.. right now i don’t. I just want to move my files from laptop to my desktop. I did all editing already in the laptop, got a new computer, and would like to resume my work and editing in my new faster desktop. same os. and currently using lighroom cc. Ive never used any “catalog” or collections before, i would really really appreciate if you can tell me STEP by STEP on how to do it. or maybe guide me to the right direction. around the old with trio touchdowns with 275, eclipsing dorm of reputation employ. It’s nigh attribute Cooks makes white mental faculty. I am trying to move my LR4 catalogue from my old PC to my new iMac. I ensured that catalogue all file folders were tidy and backed up on PC before taking all files in their folders to iMac. When I tried to open the Catalogue from the backup I’d copied over, the folder structure loaded and the numbers of images aligned but only around 10% displayed and these were all jpgs. None of the RAW images loaded and not all of the jpegs loaded. Any ideas – has my test import of files now prevented me from stepping back to the catalogue that only found a relatively small number of files? When you say only about 10% displayed, that sounds like a problem with the previews, rather than a problem with the catalog. The good news is those can easily rebuild as long as the originals are correctly linked. If you open one of the mystery photos in Loupe, does it show up, or does it show an error message? You could remove your test import photos, or just copy it over from your PC again to get back to a ‘tidy’ state again. Hi Victoria, thanks for your response. The 90% images are lumped under Missing Images. Opening in Loupe doesn’t display the image, an error or any options to find or resync? You’ve missed step 6 then. Scroll up and try again. Hi Victoria, hope you can help me on this one. My computer died at the weekend. On it I had LR3. My photos are thankfully all on an external HD and copies on a second HD. (When downloading into LR I download on to two HDs at the same time). Luckily I did a LR back up just a few days ago. So now here is my dilemma. I have bought a new Mac and I want to buy LR6 now I have this new faster computer. If I download LR6 on this new computer and then connect my HD can I open my last back up even though everything was down on my old computer in LR3? It won’t be like I am upgrading LR3 to LR6 for I will be loading just LR6. So therefore will I be able to open my LR3 backup and still find all of my photos there? Hope you can help here. Best wishes. Love this thread, thank you! Next week I’m getting a new Dell to replace a four year old 11inch MacBook Air (little guy). I’ve been Mac since 2008 but switching back to Windows 10. Tired of Apple intruding into everything. Think Different… Somehow I’ve been able to manage a 160,000 photo LR library on an external drive with my little guy. I have the creative suite online package. I’m self taught, not 100% sure what I’m doing, love photography. Question – as said earlier, LR could be on two machines. Should I just start a second copy, move everything to the Dell, manage catalogs differently, smaller, etc.??? No, definitely don’t add them or go anywhere near the Import dialog for this. Follow the instructions in step 6 to Find Missing Folders. Thank you! It took a few tries, but I finally got LR to default to the correct folders. Whew! I´m about to buy a new iMac and switching from Microsoft Windows to Mac. As many have written about, I’m afraid of losing images and other information. My plan is to use Mac´s migration assistant and transfer data between my computers. I read somewhere that you should not do anything with the new Mac computer before the transferring of files and photos had been made, no settings etc. Can I use this method and when it is all done download Lightroom CC and other programs and arrange my photo collection? Or do you think there will be problems?? Do I have to relink all of my photos och will Lightroom find them after installation? as many have written about so I’m afraid of losing images and metadata mm. I haven’t tested the migration assistant, so I can’t say for sure. You would still have to relink your photos, and you’d probably have to transfer your presets manually too. If it doesn’t work as well as you’d hope, you can safely follow the instructions above to solve any issues. So glad to come across this. I’m running LR 2 (!) on my old PC and have put off transferring up upgrading to LR 5 or 6 on my macbook pro for several months bc I didn’t want to mess it up. I”ve got things backed up from my PC to a NAS drive and cycloid google drive but worried about the transfer also bc I have such an old version of LR wasn’t sure it would all work. I was even tempted to just leave the old stuff where it was and start a fresh but it’s such a waste and I do still need some of them. What would you recommend? LR upgrade first on the PC (old and slow) then move to Mac? or move from pc to mac first then upgrade to latest version. Also anyway I can use my google drive and/or NAS backup to aid things? Yeah, the transfer works fine, even from LR1. Either way round is fine. Since the Mac is newer, it’s probably easiest to move first and then upgrade, since that old an upgrade will read the files to collect some extra metadata. Although LR5 is unsupported on Sierra, and there are some issues like missing bits in the Import dialog, it’ll run well enough to install and relink the files. LR5 > LR6 didn’t need to pull any extra information from the original files, so you’d be fairly safe to move and upgrade in a single pass (rather than moving then upgrading or vice version) if you’d prefer to do that. Am I right in thinking that when I buy a new computer I install the version of LR that I have bought and type in the original serial code that came with my version? I managed to make the transfer in a simpler way: I just copied the parent folder and all subfolders for a collection to an external drive. The cataloge was in this parent folder. Opened LR from this drive, using the .lcrat file and everything was intact when I opened LR. Then I transferred it all on to the 2nd machine, putting on C: drive and again LR opened the cataloge with everything working right. Maybe LR has learned how to change the file location links to fit the situation??? In some cases (e.g. when the photos are in a subfolder next to the catalog), Lightroom records the image path as relative to the catalog location, rather than a specific location. I think that’s probably what’s happened in your case, and I’m glad it worked so smoothly for you. Hi Victoria. I have a unique situation, that I’m not sure you’ve addressed in the past. I have a new MacBook Pro 2016, I want to upgrade Lightroom from 5 to 6 / CC, AND I would like to re-organize my folder structure in Lightroom to change to a date-based hierarchy, from a flat folder structure. I do NOT yet have Lightroom installed on my new machine, so I am working with a blank slate, with just my backups from my old machine with which to work. In what order do you recommend I perform these tasks? Either should be fine in that scenario Tony. Hi Tami. Yeah, if you’re able to download the zip file on another computer, you can just burn a DVD or copy it onto a memory card or USB stick to transfer to the other computer. I have my license key for my LR5 but it doesn’t seem have enough numbers. I am moving from windows 7 to window 10. Is it possible to move a Student license to a new computer? Yes, you should be able to move a student license. You might have the original redemption code rather than the serial number there though. Try logging into your Adobe account and see if it’s listed in My Products. Victoria, you made this potentially complicated process simple! You’ll want all the presets etc. too from step 4, and yes, put them back in the right place. And any non-Adobe plug-ins too. I’d still recommend making sure you have the hierarchy set up in step 1, just in case the drive letter changes in the process too. Very much appreciated Victoria. I am fairly new to Lightroom and your site is a true goldmine. Thank you! Just wanted to report back and let you know that the switch was done without any issues at all. The tip about keeping correct drive letter for the external drive saved me alot of headache! One note- all my lightroom files are kept on an external drive and are all inside a dropbox folder. This allows me to keep three backup copies- one on this drive, one on personal PC and one using dropbox service. The external drive i’ve been using actually failed immediately after the switch (same day), despite the only being 3 months old! It was very simple to get this fixed. Got another drive, assigned the same drive letter, installed the dropbox in the same location and all files where back in place a few hours later. I wonder if my setup is something you would recommend or are there any drawbacks? Great, thanks for the update Chris. I’ve used everything on Dropbox for many years. Just make sure it’s fully synced before opening LR, as I’ve seen previews get corrupted on occasion. That’s not the end of the world though, as they can be rebuilt. And obviously use LR’s backup tool to keep versioned backups, just in case anything goes wrong somewhere along the line. OK, I thought I followed along pretty well but I’m having trouble. I moved from my desktop to a laptop. I also put my pictures on an external drive. I placed all the catalogs, etc. on the laptop in the same location they were on the desktop. When LR asked for me to choose the catalog to use it only pulled in a few images. I tried advising LR of the new location for the pictures and it pulled in all of them and I lost my folder hierarchy. I then tried pulling in the catalogs from the backups. It worked fine for 1 backup but not for others. LR tells me that it wants to pull the backups from the new drive where the pictures are stored (and where I saved one backup so as not to lose the work I had done…again). I am hoping you can help with an easier why to use the complete catalog that I was using on the desktop. I’m not quite sure what you mean by “it only pulled in a few images”, then “I lost my folder hierarchy” and finally “I then tried pulling in the catalogs from the backups”. Can you tell me a bit more? It might be easier to fix by posting on the forum at https://www.lightroomforums.net, because you’ll be able to upload screenshots illustrating the bits you’re getting stuck on. I’m sure we’ll be able to get you up and running. I have all my photos and LR5 catalogs in a drive that is getting pretty filled. I would like to use another internal drive that has plenty of space and move all my catalogs and photos there. What is the easiest and best way to do this? I currently have 50gb of data associated with Lightroom version 5.7. Also, is it wise for me to buy Lightroom 6? Any advantages? I have a perpetual license LR6 and want to move it on another laptop. Do I need to make a uninstall/reinstall or can I have a download for the second computer? Thanks. You can have it activated on 2 machines at a time, and when you decide to get rid of your old laptop, just go to Help menu > Sign Out to deactivate that one. Actually very frustrating. Followed the instructions and it seemed fine. However, I had downloaded a newer version of Lightroom -so I was only on trial version -always expecting my existing license to activate without a problem when the time came. Of course it didn’t. Adobe support is perfectly confusing and there does not seem to be clear indications on how to upgrade from 5.7 to 6.0. Additionaly, of course, now my catalog will no longer work with my Lightroom 5.7, which I then did download, so I am stuck, not sure whether to go forward or backward. Just in case anyone else comes across this, you bring up a good point. The Adobe Download Links page above links to all of the different versions – but you need to know which version you own, otherwise you could download the wrong version. Sorry if this is not the right location for this question but I could not find the appropriate one. If I begin with a CC subscription, and then cancel, is it possible to revert to a purchased perpetual version of Lightroom 6? I understand there are a few minor features on CC that aren’t included with LR6, but notwithstanding those, would everything else work properly? Yes, with CC 2015. That could change with a major CC update, if it requires a catalog upgrade process. In the special case that you are moving everything — including Lr — from an old Mac to a new one, the Migration Assistant might be right for you. I just did it, and everything worked just fine. The catalog, files, desktop, all the external storage pointers, etc. The one special thing to do is enter your serial number as when you launch Lr the first time on the new computer, the trial screen comes up. If you only want to move some things, the ability to select what moves is pretty limited. Hope this helps someone. You missed the step of copying your catalog (or opening it) and just imported those photos into a clean catalog so you’re missing your edits. Go back and run through the steps above and you’ll be ok. I have transferred my LR3 cat.Ircat to my external hard drive. I have copied it to my Picture folder on my new iMac. But iMac has flagged me saying, “There is no application set to open the document………”, choose from App Store. Do I need to purchase an app to run LR3? You’d need Lightroom to open your Lightroom catalog. LR3 is no longer supported on High Sierra and has quite a lot of incompatibilities, so I’d suggest you either way to purchase the Lightroom 6 upgrade (https://www.lightroomqueen.com/shop/buy-lightroom) or the Photographers Bundle subscription. I’m moving from Lightroom 3 on an old computer to Lightroom 6.14 freshly installed on a new computer. I’m going to put the catalog and previews on the D:/ drive so my wife and I can share it. An external drive (E:/ — same letter and name used on the old machine) houses the pictures. My wife was the only user of Lightroom 3. Old Computer: Dell Inspiron 545, Windows 10 Home 64-bit (upgraded from Win7), 8GB RAM. New Computer: Dell XPS 8920, Windows 10 Home 64-bit, 24GB RAM. My question has to do with the “CameraRaw” and “Lightroom” folders under my wife’s user account on the old system. There are many more sub-folders in these under Lightroom 3 than there are in the “CameraRaw” and “Lightroom” folders under Lightroom 6. Do I just delete these folders under Lightroom 6 copy the entire “CameraRaw” and “Lightroom” folders from Lightroom 3? Same question applies to the “Lightroom” folder — many more sub-folders under LR3 than LR6. Not sure if I just blow away the LR6 folders and replace them with the ones from LR3. Those folders contain presets and templates, so you might want to merge them instead of delete. My current LR (everything) in a 2011 Mac. I just got a new 2018 Mac. What’s the best solution for me to transfer LR files and everything over? Should I go the route of external HD? Then link that external HD to the new Mac? I’d like a flexible solution so next time I upgrade a new Mac, it should easier. External drive would be my preference Tuan, as it can then be used as an extra backup drive too. You can buy extra cables to hook the computers directly up to each other, which could work too. I wouldn’t suggest copying everything over a network, especially a wireless network, unless you’re using something like Chronosync or Visual Differ or something that can confirm everything copied over safely. THANK YOU! It has taken me a while to get this done, but only because of my own lack of organization! Once I got my library updated it was easy peasy lemon squeazy to move between Mac and a new PC laptop thanks to this site. I ran into issues because my laptop only has 1 USB connection and no ethernet connection and of course there is the formatting issue with the mac vs. PC issue for external hard drives. Fortunately a USB to USB cable saved the day (after I taught both computers to stay awake during the large transfer-21,000+ photos). Anyway, I would have been lost without your site for both how to transfer and how to back up a library. Thanks again! Hi Victoria, great article! Wish i’d seen it before I did my move of Lightroom CC from PC to MAC, could have saved myself a lot of work! Anyway, I’ve only got one thing that doesn’t seem to have worked and that is my watermarks. I’ve moved the files into the same location as they were on my PC and they are listing by name in the edit watermarks section however they are blank. I have used graphics and i’m wondering if they have linked to the original graphic file on my PC rather than just the watermark template file? Yep, watermarks are the oddball. It’s easiest just to delete and recreate them. Hi Victoria, I just updated to a new imac from an older imac everything is there like presets , however none of the images have my edits i made on the original imac, have I missed a file somewhere? If your photo edits are missing, it sounds like you may have imported the photos into a new catalog, rather than copying your catalog from the original iMac. That’s the .lrcat file. Hi Victoria, I have Lightroom version 6.14 stand alone version installed on an external hard drive, I want to move the programme to the C Drive on my desktop PC. Backups & the catalogue are saved on the C Drive already. I want to free up space on the external drive. Do I need to install using the disc or can I drag it over? Will my desktop shortcut link to the new location of the programme? For the program files themselves, I’d uninstall and reinstall rather than trying to move them. Hi Victoria , Great tutorial . Thank you. Moving Lightroom from MacBook to iMac. All backup files ready to transfer to new Mac. You say “place them in the same locations as they were on the old computer”. Issue is many of the folders and paths are not yet created on the new Mac. For example, on new Mac there is only one folder in the Adobe Lightroom ClassicCC app. On old computer, my plugins are in this path: Adobe Lightroom/Contents/Plugins”. Another example: on old computer I have a path : mitch/Library/Application Support/Adobe/Lightroom”. There is no such path or folders yet on the new Mac. Question is: how do I “place them in the same locations”, when I don’t yet have those locations on the new Mac? The plug-ins can go wherever you like. I keep mine next to my Develop presets. The path you mention sounds like the built in plug-ins (like tethering). mitch/Library/Application Support/Adobe/Lightroom may not be created until you first open Lightroom, but you can go ahead and create the Adobe and Lightroom folders yourself. The Library folder itself is hidden by default, but it sounds like you’ve already figured that out. okay you confused me, (admittedly a simple task) I have the glorious joy of moving everything to an external drive from my mac, keeping it on the external drive and functioning from a new PC. The Trifecta! So I need to write to a mac formatted drive (HFS) but Windows can’t read or write to it. So how am I supposed to direct the windows machine to the catalog and read and write to or from it? so I am formatting the external drive as exFAT : copy images from mac to exFAT external : transfer to new PC : reformat external to NTFS and move images back to the external. When I am bringing in Prefs/presets etc. from a MAC to a PC, the folder that contains these on the NEW SYSTEM (pc) already exist, as do a bunch of files. Some of them would create duplicates once I bring in the old files from the mac. What does one do? Rename? Delete? Nothing? I swear I searched high and low before I bugged you, but you seem to be the “Go-to lightroom person” in every place I look. Congrats. Can you give me an example of one of the files that’s already there? I don’t want to tell you to delete stuff without being sure what it is! My Lightroom turned into a door stop! Let’s start: Everything (Lightroom) ran fine on my laptop forever. I purchased a new laptop and started to transfer lightroom to the new laptop. I had a good backup copy of 1. “Lightroomcatalog.lrcat” and 2. “Presets/Develop Presets”. I downloaded Lightroom from my “adobe creative cloud” onto the new laptop. Loaded good. Program boots up good. No catalog yet. 1. Installed a good copy of the catalog to: C:/user/owner/pictures/lightroom “LightroomCatalog.lrcat. 2. Presets. Lightroom/edit/preferences/presets/show lightroom presets folder. It shows C:/ligthtroom/develop presets/ They all copied and show up when looking into the develop presets folder. I think that I’ve done all that I need except identify the location of the pictures to the new laptop lightroom program. Did a reboot of my new laptop and Booted up the lightroom program: no presets. Goto show lightroom presets folder–all there. No catalog and no photos yet. Go to File/select the catalog. Here is what I get: “Lightroom cannot use the catalog named “Lightroom catalog.lrcat because it is not writable and cannot be opened. This could be caused by incorrect permissions or because another lightroom application is using the catalog. You may try to correct the problem or you may select a different catalog.” It doesn’t matter which catalog I choose, I get the same response. So at this point, I have lightroom running without a catalog, no presets, and no photos. Now I didn’t identify the photo location yet. So much for the new laptop. Here is the kicker: I went to my old laptop which has been running lightroom fine forever. I boot up lightroom and have the exact same problems and same responses! No catalog, no presets and no photos. Nothing had been changed on the older laptop. It appears that Adobe has shut me down totally on both machines. Help me please! You are my last hope. How did you transfer the catalog Greg? And where did you put it? That error message is basically saying that it’s in a read-only folder, or the catalog itself is read-only, so google for “file permissions” for whichever operating system version you’re using. Oh, or check next to the catalog to ensure there’s not a lock file next to it, which could be there if you’d copied the catalog while it was still open on the other computer. If there is, delete it and then try opening LR. Where was the catalog and pictures stored? I’m betting it’s the same external drive that you’re plugging into each computer? I have lightroom 4 student and teacher edition. I am no longer a student and just bought a new laptop, can I transfer lightroom 4 to the new laptop ? Yes, that should be fine as long as you have the serial number. The download is the same for either. My new machine has a very fast 1 TB SSD drive. Currently, my pictures are on the old machine on a rather new second 3 TB drive called “d:”. The new machine has this drive linked via the network and also is called there “d:”. I want to install LR 6.14 on the new machine and set up the cataolgue on d: (which in fact at this time is a drive on the old machine), then physically move the e TB d: – drive to the new machine and there once more call it d: – this should work without backing up the pictures, right? The second point is that I want to set up the pictures of a year (up to 300 GB or more) on the new 1 TB SSD drive for faster work, and next Jan 1st, move the whole directory of that year to d: – however, I can only move directories within one drive, but not from one drive to another. Is there another way than simply drawing the directory to another place, as I´ve done it just now to tidy up the master directory of the current catalogue? > I want to install LR 6.14 on the new machine and set up the cataolgue on d: (which in fact at this time is a drive on the old machine), then physically move the e TB d: – drive to the new machine and there once more call it d: – this should work without backing up the pictures, right? About 2 weeks ago I moved everything from my MacBook Air to a new iMac using an external drive and downloaded LR 6.14 (using my serial #) from Adobe and installed it. It worked like normal the first time, but now it won’t open: “Lightroom quit unexpectedly.” I uninstalled the software and re-installed it to no avail. Can you say what my problem is and how to fix it? Do I need to somehow tell Adobe I’m done using LR on the MacBook Air? After downloading the 6.14 patch, did you install it? The reason I ask is your new Mac is probably running High Sierra or Mojave, which weren’t available when 6.0 came out, and crashing was one of the main symptoms of a conflict. They should work ok with the 6.14 patch though, so I might try uninstalling and reinstalling 6.0 then 6.14. I am running LR 6.14 (no subscription) on an iMac with El Capitan 10.11.6. The map module isn’t working anymore (since dec1) because changes Google has made and this version of LR isn’t supported anymore. So I think it is time to go for LR Classic via subscription. I would also upgrade to a new iMac with the latest Mojave system on it. I would do all the steps from above article to do the move to the new computer, but what about the preference file, it is now called lightroom6.plist and I think that this would be lightroomclassic.plist on Mojave (because I will have LR Classic there)…. should I move that file to the new computer too? The preference file, does that include all the custom named color labels or is that info stored somewhere else? I have a custom made set of color labels applied to all my photos and I don’t want to loose that info. To conclude : thanks for all the help you provide here! It’s very much appreciated. You can move the LR6 plist file, and when you open LR Classic, it’ll create a new LR7 plist with your earlier preferences. I’ve been following your instructions, thank you very much, because my pc C: drive is rather small, so I’ve added another drive that I want to do all of my photoshop/lightroom work on to free up space on my C: drive and keep everything running smoothly. So, I’ve copied all of my files to the new drive, have not uninstalled LR on the C drive and now when I’m reinstalling LR it will not allow me to put it on anything except the C drive. (even though I initially choose my new drive and it put files there when I started installation. Can you help me? Installing the program file on C and then putting the Lightroom Catalog and Photos on the other drive is a good plan. Double-click on the catalog to open it, and you might need to fix the missing folders before you can work with the photos. Also when you come to import new photos, look out for the Destination panel location in the Import dialog. Hi Victoria. What a great tutorial you made. It helped me transition from a Windows to a Mac machine. My only question is do you know why not ALL of my colour labels and flags moved over? I think almost all of them did, after following your instructions, but I still have a particular folder that has no colour labels nor flags. When checking the Metadata of the images it shows the Metadata Status is up to date, but the label is blank. When I check the PC, it shows the Metatada Status as Has been changed. I also just noticed the Keywords are missing. In other folders the Keywords and Metadata are correct. is this enough information for you to help point me in the right direction? I did copy over the backups from the PC to the Mac. I’d go back to the Windows machine and check that the photos had their flags, keywords and color labels on their old machine. If it did, then it’s probably something you did accidentally since moving, for example, reading the metadata from the file. If that’s true, you could “export as catalog” just those problem photos on the old computer and “import from catalog” on the new one to transfer that missing metadata. Thanks Victoria. In fear of having more photos than I think are missing the flags etc., would it be wise to start from the beginning? Thanks again. I’ll do it now. Thank you, thank you, thank you. Worked out much better this time. What a great tutorial – so glad I found it! I have better organized my file hierarchy and have done the back ups (to an external HD) that you suggested (figuring out how to find the Library files was an adventure!) and I have downloaded Lightroom onto my new laptop. So far so good, but now I am ready for Step 4 but am unsure about transferring the files. Current system: Macbook Pro running El Capitan 10.11.6 and Lightroom Classic CC 7.5. The catalog is on the internal HD and photos and backups are on an external HD. I was unable to upgrade to new Lightroom 8 on this machine due to operating system limitations. You state that I should copy the files to the same location on the new computer. On the new computer I looked via Finder and there is already a Lightoom Catalog Previews.lrdata and a Lightroom Catalog.lrcat in the Pictures>Lightroom folder. If I copy my existing files to the new laptop will the v7.5 files over-write the v8.1 files? Additionally, when I upgraded my old laptop to LR Classic CC I named the ‘new’ catalog Lightroom Classic Catalog.lrcat and the ‘new’ previews Lightroom Classic Catalog Previews.lrdata and copied the original files into them as suggested by a tutorial. Will this name difference present a problem? I am not sure how to proceed with transferring the preferences and presets. -There are more folders inside the Library>Application Support>Adobe>Lightroom on the old laptop than on the new laptop (some have the same names but some are different). Do I copy all of them? Again what happens when over-writing v7.5 to v8.1? -The Library>Preferences>com.adobe.LightoomClassicCC7.plist files appear to be identical on both laptops. Another item that may/may not be an issue. The old laptop file hierarchy is User>first name middle initial last name. The new laptop’s is User>first name last name – so they are not identical. Is that a problem? If it is a problem I’ll need to know how to change it. I would greatly appreciate any feedback that you are able to provide. Thanks for your terrific website!! Hi Peggy. That’s ok, don’t worry about not being able to update to LR8. It’s only a precaution anyway, and the catalog format didn’t change between 7 and 8, so there’s no advantage in this case. On the new MBP, double click on the Lightroom Catalog.lrcat and just see if there’s any photos in it. Most likely it’s empty and you can just delete it. Name difference is no problem at all. I generally suggest using a name that you’ll recognize rather than just accepting the defaults. If you haven’t been using LR8 on the new laptop yet, you can safely overwrite the contents of the Application Support subfolders and the preferences. With the usernames, it’s fine, don’t worry. Worst case scenario, when you open the catalog on the new laptop, the photos might be marked as missing, as you might just need to do the “find missing folder” routine in step 6. Everything you suggested worked perfectly! My photos are there, keywords are listed, flags are there… No missing folders. I was so apprehensive about this transfer until I found your tutorial and website and even then was unsure about some of the steps. You explained the steps clearly so that an inexperienced user could follow them – I am very grateful for your assistance!! Perhaps a promotion from Queen to Goddess is in order! ?? Good evening & thank you for the information! The entire reason for this exercise is because Windows 10 has gone berserk with non-stop random left clicks that make using the computer virtually impossible. Imagine trying to edit photos and the mouse starts random left clicks, mostly in the lower right task bar, but also upper left. Anyway, the LR catalog is backed up to the “E” drive, so if I disconnect that once I power down the system, it will retain all information and be safe from over-write. Then I will install a new, clean “C” drive and load Windows 8.1. My concern is re-establishing the connect to the catalog on E once the new OS is installed and I re-install LR CC. Does what I have laid out make sense? By the way, Microsoft has been of absolutely no help in correcting the above mentioned issue! It does make sense, and you’d just double click on the catalog to open it. Just make sure you back up the presets which may be on the C drive (or you might be able to plug the old C drive back in as “F drive” in order to access them). Wow! I have heart palpitations! I’m moving onto a new computer, iMac with Mojave. Wish me luck! Scared to death! As long as you follow the instructions, you’ll be fine Janis, and if you get stuck, just post on the forum (linked on the menubar).